This was our best vacation yet! Group of 10 adults, 1 Four year old and 2 infants enjoyed this house in October/November. First of all, management company was fantastic. Everyone we dealt with was amazing. Their customer service was outstanding…and still is even now as we are starting the process to book again. As for the house, it is exactly as pictured. We spent most of our time around the pool. Our 4 year old loved the slide and waterfall. She preferred the pool to the ocean…who can blame her! It was amazing. The house had plenty of rooms and space for us all. We cooked at the house for most all of our meals. Kitchen was well stocked with everything we needed. We have rented houses previously in other locations and this kitchen was by far stocked the best. It’s so nice to not have to worry about bringing sheets or towels. Just bring your swimsuit and a toothbrush and you are good to go. Having a fridge on the garage was great for us hanging at the pool and the bikes, chairs and beach toys were so nice to have. Location was great. Close enough to walk to some restaurants and shops as well as to the beach. The trolley stop was close by and was super handy to get places. Hard to find a more perfect location. You can’t go wrong by renting this house! We appreciate you taking your time to let us know about your stay with us at Summer House. We are happy to hear that you enjoyed your stay and were able to take advantage of the amenities the home has to offer. 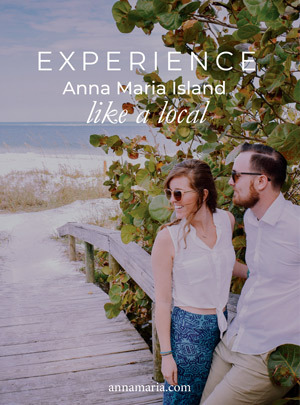 All of us at Anna Maria Vacations work hard to ensure that our guests have a memorable and enjoyable vacation and appreciate your positive feedback. We are looking forward to having you stay with us again in the fall!